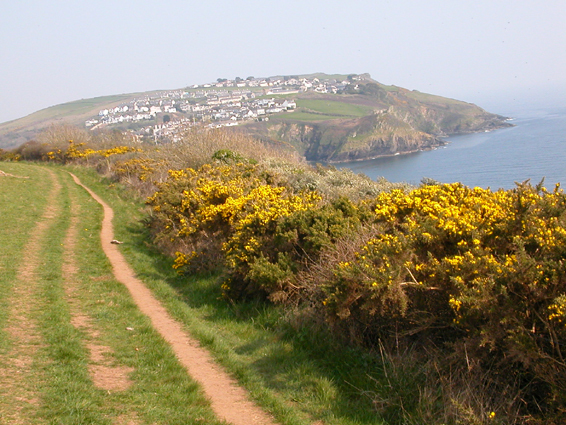 Travelling along the Cornish Coastal Path towards Fowey. The town in view is Polruan which is the other side of the estuary to Fowey. In April the gorse is in flower all over Cornwall, giving off a wonderful smell of . . . coconut.